NY delis, and some trendy restaurants in major cities name food items after celebrities - The Humphrey Bogart sandwich, the Marilyn Monroe, etc. But the ARAM sandwich? I came across this in one of my Armenian cookbooks. Traditionally, the Aram sandwich is made from Armenian cracker bread (lavosh) which is softened by wetting both sides with tap water, shaking off excess moisture, wrapping it in a damp towel, and placing it in a plastic bag for about 2 hours. Once softened, the bread is spread with softened cream cheese, and layered with meat, cheese, lettuce - or any filling you like, then rolled into a wrap. 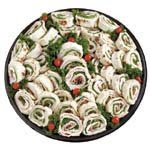 The sandwich is then refrigerated for several hours, and cut into 1 - inch slices, giving it the “pinwheel effect”. This sandwich also goes by the name “Hye Roller”. If softening the Armenian cracker bread sounds like a pain, don’t fret. There are soft, flexible lavosh varieties available in deli departments in most grocery stores. All you have to do, is select your favorite filling ingredients. 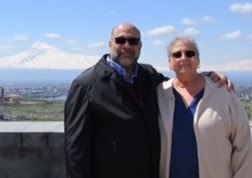 If anyone reading this knows who the “Aram” is behind the Aram sandwich, The Armenian Kitchen would like to hear from you. Thanks! I understand the word "ARAM" probably comes from an area of Syria called "TELL ARAM" in Syria. But that is unconfirmed. Thanks for the above suggestions! Dear Armenian Kitchen, I was swirling my glass French Pinot Noir, when I thought of fond memories of my Kitchen upbringing that spanned 20years+. I later found my self on you page asking where the name Aram sandwich came from. 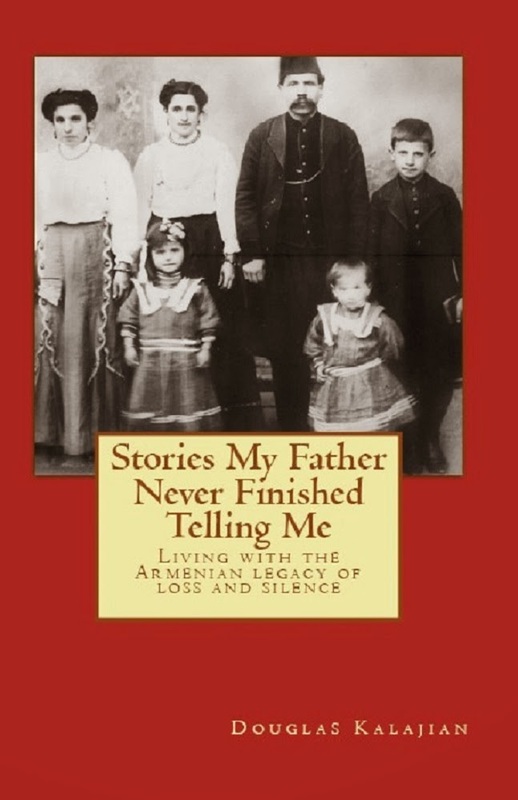 The truth of this topic: When I was a young boy my 1st job was for an Armenian Gourmet restaurant and coffee shop in San Francisco California located on Chestnut st. The name of the Restaurant was the "CARAVANSARY" I was 15 years old when I first started there the date was 1973. The Chef of the Restaurant was Setrak Indijian and his Co.Owner was Khajag Sarkissian who between the two partners Khajag had the first son whom was named ARAM.. thus the sandwich name. Those days, I dont recall pliable Lavosh like they have these days, AKMAK bakery in (I believe) Fresno Calif. made the original Lavosh that was used for the ARAM sandwich. Anyway.. hopefully you can pass this truth on so that the world who has utilized this sandwich for generations shall know where the "Aram Sandwich came from. Sincerely, Vincent Venenciano. Actually my brother, Sevag Injaian, was born first in 1971 but my dad wanted to honor khajag and named the sandwich after Aram who was just born. Thank you so much for your explanation of how the Aram sandwich got its name! Vincent is correct. My father Setrak Injaian did invent the Aram Sandwich for my Uncle Khajag's son which was just born. I know the place well. A caterer by the name Olivia used to get her Aram sandwiches from there. Growing up in SF, I used to love eating those sandwiches. What was in the spread they used? I remember there being some texture in it so it couldn't have been straight cream cheese, could it? Thanks! The cream cheese had herbs in it. His herb of choice was dill most of the time, but depending on the meat he would choose accordingly. I grew up in the Bay Area and remember Caravansary fondly. We often ate there when we went into the City to shop. They served a wonderful spiced minced meat pie with pine nuts that was round and encased in dough. It was fabulous! I would love to know how to make it! Hi Alison, a recipe will be forthcoming. I hope it will be reminiscent of the one you've described! I have been looking for this site for years! The Caravansary, both on Chestnut and Sutter, were my favorite restaurants. I started going to the Chestnut location I think 1973 or 74 and probably ate there once a week. My favorites were the chicken (as I recall, there were three rotating choices) and the lamb. I learned recently that there was a restaurant on Belden that was only a block from where I worked, but I did not know of it at the time. I also heard that the owner was sadly killed there in an accident. I have tried to find recipes to recreate my memorable meals at the Caravansary. The closest I have come is through Chef Robert in Southern California who did work at the Caravansary. He pointed me to a restaurant in Southern California, and their cookbook, that he thought was very similar. It was, but not the same. I would LOVE to have the original recipes from the Caravansary. My favorites were the marinated leg of lamb (I don’t recall what it was called), the chicken dishes (my favorite was the tabaka, although that was long ago and the name may be wrong), the hummus that was far superior to anything I have had since, and the tabbouleh. Was a cookbook ever published? Never having been to this establishment myself, I am asking family members in the Bay area for help. I await their response. Update: In reference to whether or not a Caravansary cookbook exists, my Bay area family does not know. A Google search didn't reveal anything either. So sorry! I've searched myself but have found nothing. I had a hope that maybe someone out there that had worked there over the years might have something. Oh well.......thanks. I shall be trying the recipes here. Thanks for them! I too would like to know the recipe for the Aram sandwiches. They were the best!!!!! Anything that is shared concerning the “Adam sandwich” should go through the family. There is a court case reguarding the name and certain supermarkets and delis selling sandwich’s close to them and using the name “Aram Sandwiches”. I dined there with my husband around 1976. I loved it and had a chicken breast with pomegranate and pine nuts. It was amazing! Would love the recipe. There was a Caravansary in Stanford Shopping Center. The Aram sandwich was basically softened lavash, cream cheese thinned with a little milk, paper thin slices of rare roast beef (NOT the salt-laden stuff from supermarket delis), romaine lettuce,well dried, very thinly sliced red onion and cilantro. Rolled up tightly and sliced into about 1.5" spirals. I realize this may not be the correct place to post this request, but since this thread is concerning the recipes from the wonderful, greatly-missed Caravansary Restaurant in San Francisco, I have another recipe request from them for Chicken Tabaka. I have a small clipping that is apparently from an article in McCall's Magazine from the 1970s or 1980s that has part of the recipe for the Caravansary's Chicken Tabaka. I unfortunately don't have the rest of the recipe directions. Does anyone know when the Carvansary's recipes were featured in McCall's? If I knew when, then I could look for an old copy. Flatten the chicken breasts slightly so they are of uniform thickness. In a large bowl, combine all the remaining ingredients to make a sauce. Pour half the sauce into a roasting pan just large enough to hold all the chicken. Anyone know the rest of the recipe? I have occasionally tried baking it at 350 degrees F for about 45 min. and basting it with the remaining sauce, but I'd really love to have the rest of the real instructions. Note that this recipe was published at a time when pomegranate juice was generally unattainable and exotic, and I suspect that McCall's suggests a substitute in its note (also missing from my part of the recipe). Thanks for any contributions or suggestions.